Prior to the establishment of the Atlanta Chinese Dance Company (ACDC), the group performed in: March 25, 1989, Dekalb Community College Fine Arts Theater, Atlanta Georgia. "An Evening of Chinese Music and Dance, " a Fund-Raising Performance for Organization of Chinese Americans, Inc. (Georgia Chapter). September 25, 1990, Dekalb Community College Fine Arts Theater, Atlanta Georgia. 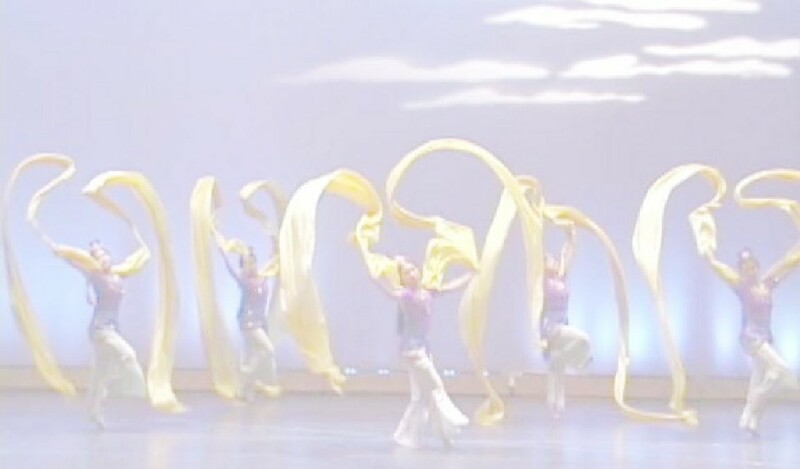 Since the founding of the Atlanta Chinese Dance Company in 1991, full-evening ACDC performances have included:March 21, 1992, Dekalb Community College Fine Arts Theater, Atlanta Georgia. "An Evening with the Atlanta Chinese Dance Company"
October 16, 1993, Georgia Tech Theater for the Arts, Atlanta Georgia. "An Evening with the Atlanta Chinese Dance Company"
April 15, 1995, Georgia Tech Theater for the Arts, Atlanta, Georgia. "An Evening with the Atlanta Chinese Dance Company"
October 12, 1996, Georgia Tech Robert Ferst Center for the Arts, Atlanta, Georgia "An Evening with the Atlanta Chinese Dance Company"
May 3, 1998, Rialto Center for the Performing Arts, Atlanta, Georgia "Chinese Dance Performance"
May 2, 1999, Rialto Center for the Performing Arts, Atlanta, Georgia "The Imperial Palace"
May 7, 2000, Pellissippi State Technical Community College Performing Arts Center, Knoxville, Tennesee. September 30 - October 1, 2000, Gwinnett Civic and Cultural Center, Duluth, Georgia "The Bamboo Forest of Yunnan"
March 9-10, 2002, Gwinnett Civic and Cultural Center, Duluth, Georgia "A Journey with the Phoenix"
May 25-26, 2003, Gwinnett Civic and Cultural Center, Duluth, Georgia "In Search of the Imperial Palace"
September 11-12, 2004, Performing Arts Center at Gwinnett Center, Duluth, Georgia "Ming, Gu, Xian"
April 1-2, 2006, Performing Arts Center at Gwinnett Center, Duluth, Georgia "Back to the Roots"
October 13-14, 2007, Performing Arts Center at Gwinnett Center, Duluth, Georgia "Nu: Past and Present"
May 24-25, 2009, Performing Arts Center at Gwinnett Center, Duluth, Georgia "West to East, East to West"
October 16-17, 2010, Performing Arts Center at Gwinnett Center, Duluth, Georgia "Nezha"
April 14-15, 2012, Performing Arts Center at Gwinnett Center, Duluth, Georgia "21st Anniversary Gala"
September 28-29, 2013, Performing Arts Center at Gwinnett Center, Duluth, Georgia "Chinese Painting in Motion"
April 4, 2015, Gwinnett Performing Arts Center, Duluth, Georgia "Ren and Shen: Chinese Humans and Superhumans"
September 24-25, 2016, Infinite Energy Theater, Duluth, Georgia "China in Transition: Animal Folklore to City Life"
March 31, 2018, Infinite Energy Theater, Duluth, Georgia "Travels Around China: Circles of Love and Departure"